Last week on the Colbert Report, Stephen’s segment Thought For Food highlighted some of the latest news in food. Needless to say it was funny. Stephen commented that the best time to go food shopping is actually when you are hungry, despite what you have been told. If you go when you are hungry whatever you eat before you reach the checkout counter, is free. If you missed it or are not a regular viewer, check out the video link below. 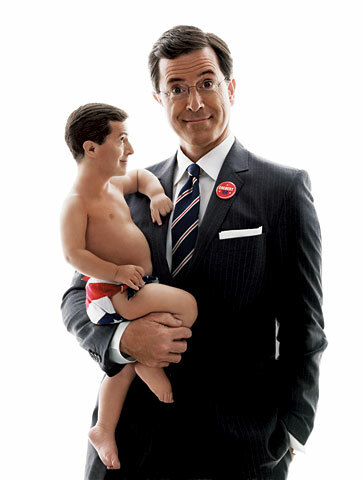 You are currently browsing the archives for the Stephen Colbert category.